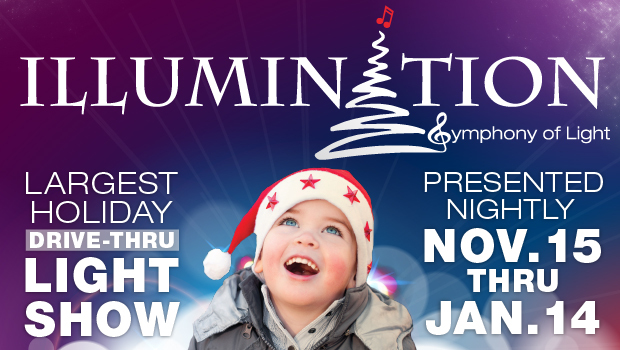 Illumination, Arizona's LARGEST Holiday drive-thru LIGHT SHOW You're invited to experience Arizona's largest family friendly holiday drive-thru light show; fully synchronized to your favorite holiday music. At over 1 mile long, this driving attraction will feature millions of lights synchronized to holiday music. Make sure you stop to visit The Holiday Boulevard; a park, play and eating area that culminates the experience. Attraction open Nightly from 6:00pm November 15, 2017- January 14, 2018.